The power trio known as The Winery Dogs roared through the Arcada Theatre in St. Charles, IL on June 30th to a near capacity crowd. To some, The Winery Dogs may not yet be as well-known as its individual members, but that’s certainly been changing since the band’s debut in 2013. The Winery Dogs are half of what you might expect, half of what you might not. On one hand, the music is full of the expected riffing and precise playing at the highest of levels. On the other hand, there are three guys who are also excellent showmen and songwriters, and are as entertaining as they are accomplished musicians. The Winery Dogs has been referred to as a “super group” by some (including the band’s Wikipedia page), a term that not all members of the band embrace, and features the wicked musical prowess of bassist Billy Sheehan, drummer Mike Portnoy, and singer/guitarist Richie Kotzen. 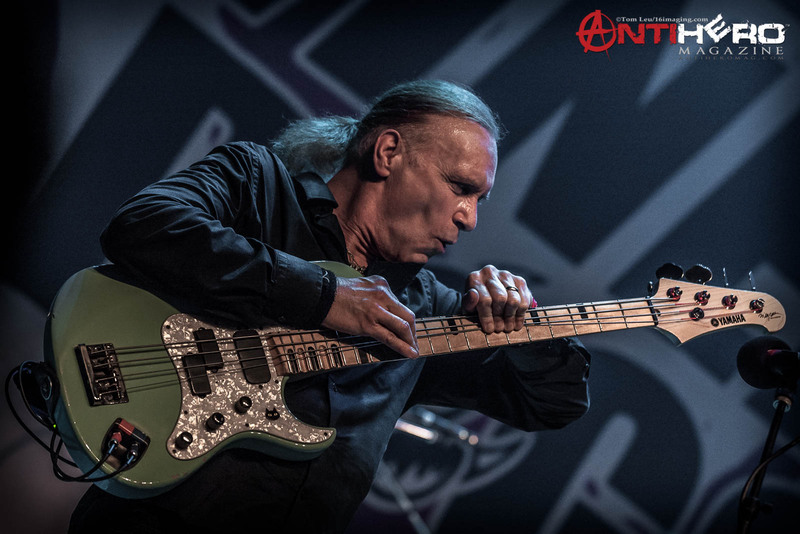 Billy Sheehan’s deft, distinctive, and legendary bass playing is showcased nicely within the context of The Winery Dog’s music. Arguably, even more so than with some of his previous, and in certain cases, more well-known bands including Talas, David Lee Roth, Steve Vai, and Mr. Big among others that span his 35+ year career. Billy is a terrific showman appearing to truly be enjoying himself onstage from the first note to the last. 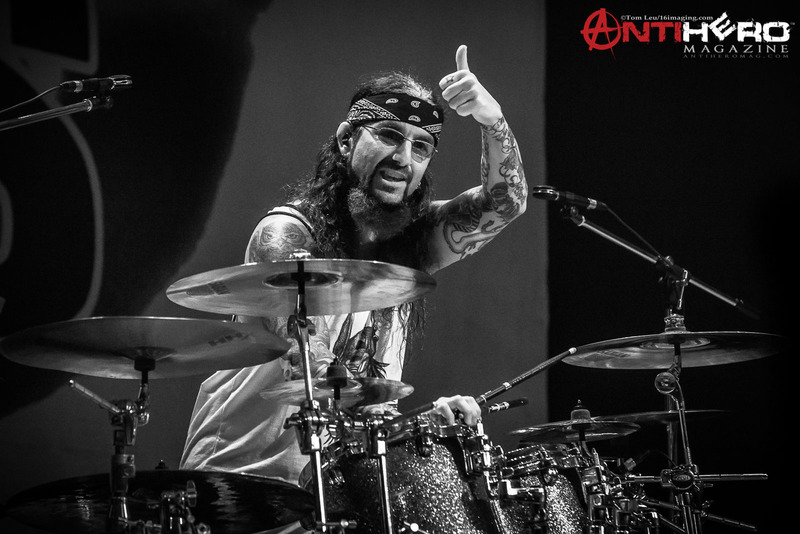 Mike Portnoy previously of Dream Theater fame, Avenged Sevenfold, Adrenaline Mob, and most recently, Twisted Sister (filling in for the deceased A.J. Pero on TS’s final tour), among many other notable projects, is a showman with both the chops and personality mix that transcends the majority of his peers. Portnoy makes playing complex drum parts filled with groove and tricky technique look easy. Speaking as a drummer myself, trust me when I tell you that what he’s playing is anything but easy. And that just might be Portnoy’s ultimate compliment… He’s a musician’s musician, but his style still comes off as very accessible to the everyday fan. 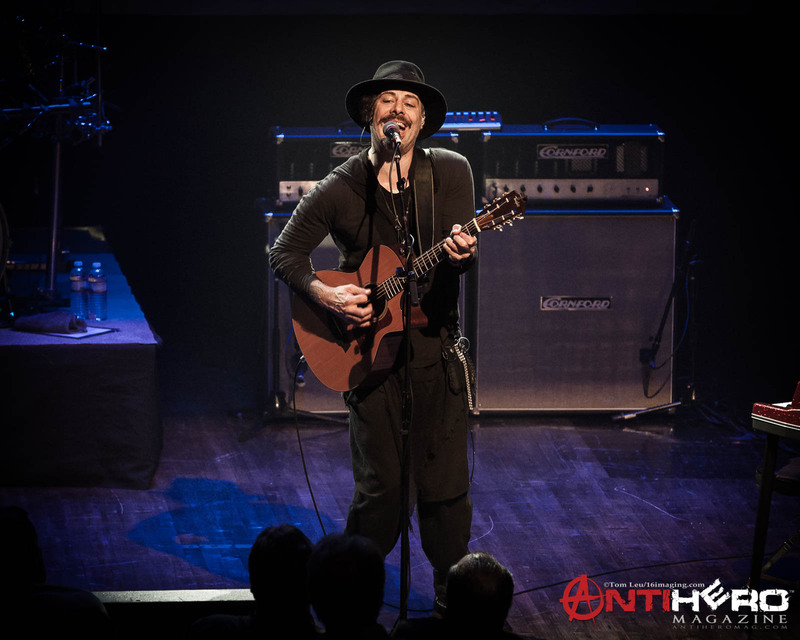 Finally, Richie Kotzen… what can I say about this largely overlooked, yet brilliant musician? This guy is amazing, plain and simple. I had no idea until I dug in and did some thorough research in preparation for my recent interview with him for AntiHero Magazine. During that interview, Richie went into some detail describing how much goes into the creation and collaboration of Winery Dogs music, as well as with his solo material. Back in the mid-to-late 90’s, Richie previously played in versions of Poison and Mr. Big (alongside Billy Sheehan), but has also released no fewer than 20 solo records since 1989. Listening to Kotzen’s contributions to The Winery Dogs, while impressive, is only a small part of his musical output and history. The real story is contained within the wealth of his solo material. Multiple genres, grooves, and song styles are represented within his solo music that harkens the talents and tenets of Prince with its complexity, yet accessibility, combined with musical depth. Big compliment I know, but it’s well-deserved once you really take a listen. The Winery Dog’s 15 song set was basically an equal split of tunes from their first two albums: 2013’s The Winery Dogs, and 2015’s Hot Streak. That band effortlessly cruised through favorites such as “We Are One,” “Time Machine,” “The Other Side,” “I’m No Angel,” “Elevate,” “Desire,” and Kotzen’s keyboard solo version of “Regret” from the debut record during in the encore. “Oblivion,” “Captain Love,” “How Long,” “Empire,” “Fire,” “Think It Over,” “Ghost Town,” and the title track “Hot Streak” were also in the set from the second record. I expected featured solos from each band member, and both Portnoy and Sheehan each had a 5 to 7-minute solo section during the show. Richie Kotzen didn’t have a solo section per se, but did come out alone to play a couple of songs on acoustic guitar and electric piano, which were highlight moments. Honestly, I counted on longer solos from musicians of this caliber, but it goes to show how The Winery Dogs, despite their musical virtuosity, are a song-focused band first and foremost. 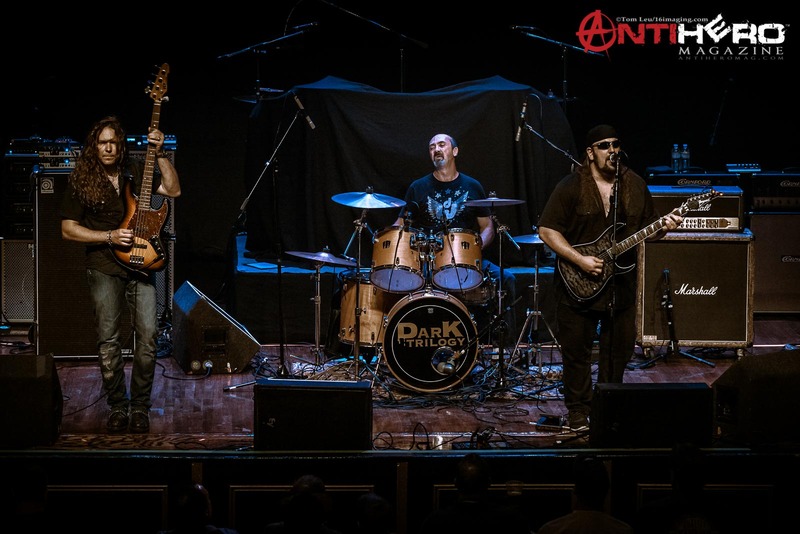 The opening act, Dark Trilogy, also a three-piece band hailing from South Bend, IN, were a good fit to open for The Winery Dogs. These guys played primarily instrumental hard rock/metal music that seemed to appeal to the early-arriving Winery Dogs crowd. One track in their set did contain vocals… the overdone cover of Prince’s “Purple Rain.” Great tune, and a respectable version of it by Dark Trilogy, but I’ve heard so many cover versions of the song, especially recently, that it’s kind of lost its luster. That said, Dark Trilogy is a solid band with especially excellent guitar and bass chops to hold their own as a progressive hard rock power trio.